Who is… Dortmund’s latest recruit Mikel Merino? Having demonstrated a knack of unearthing hidden talents in recent seasons, Borussia Dortmund are hoping that in Mikel Merino they have found a player who can continue that trend. Dede, Robert Lewandowski and Shinji Kagawa have etched their names in BVB’s history books recently, while the likes of Julian Weigl and Christian Pulisic have offered a glimpse into what promises to be a bright future for the club, and one which Merino will be keen to be a part of. The 19-year-old has agreed to join Dortmund from CA Osasuna on a five-year deal in the summer and was quick to express his delight at being afforded the opportunity to take the next step in his professional career. 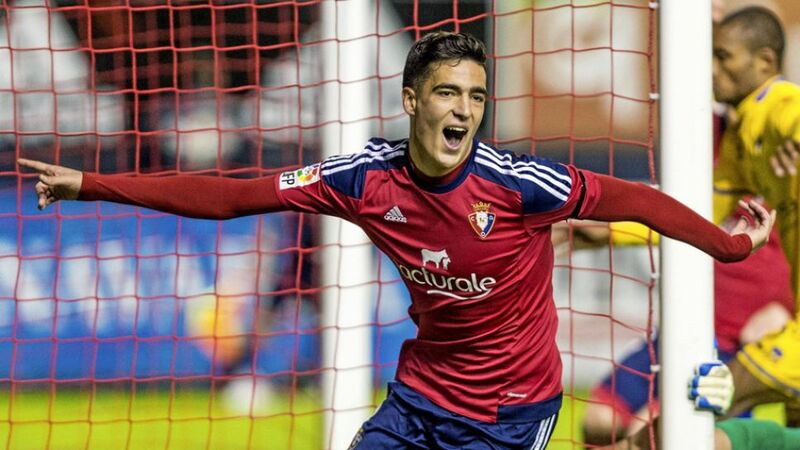 “I feel honoured that I’ll soon be able to play for Dortmund, a club that has a special way of playing football,” said Merino, whose father Angel, a former professional himself, oversaw his son's development as part of the coaching staff in Osasuna's youth set-up. Fans of the German national team's youth sides may remember the Pamplona native breaking the deadlock for Spain in their opening group game of the 2015 UEFA U-19 European Championships. Spain won 3-0 and eventually went on to win the tournament, with Merino named in the starting line-up for all five fixtures. A rangy box-to-box midfielder, Merino is yet to make his La Liga debut, but has 51 appearances in the Spanish second tier under his belt. Composed in possession with a keen eye for a pass, the technically gifted youngster also boasts a quick turn of pace and an ability to read the game that belies his age. Those are all qualities that Dortmund head coach Thomas Tuchel, a proven promoter of young talent, will be keen to nurture into a midfield engine for BVB’s “special way of playing football”.